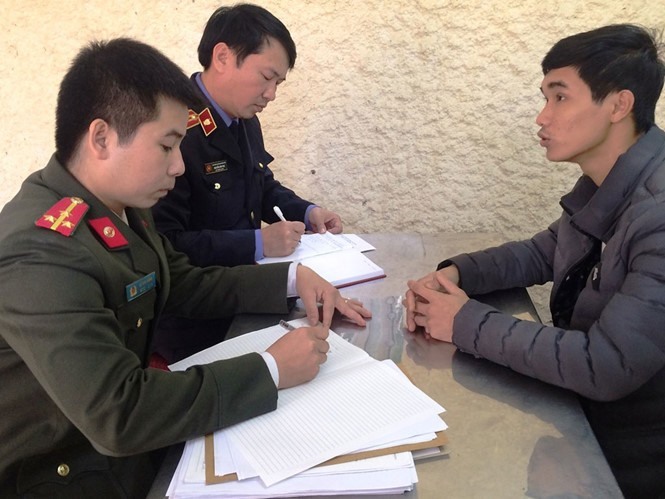 HÀ TĨNH — Nguyễn Văn Hóa, a 22-year-old resident of Kỳ Anh District, has been arrested by Hà Tĩnh police for allegedly abusing his civil rights and infringing upon the State’s interests. A report in the local newspaper said on Thursday that the arrest followed a decision by the provincial police to start legal proceedings against the accused. Hóa will be detained for three months as the prosecution prepares his case. Police said that over the last two years, Hóa was involved in various activities designed to foment protests in the province. He will be accused of “abusing his civil rights, freedom and democracy to infringe upon the interests of the State, legitimate rights and interests of organisations and citizens" under Article 258 of the Penal Code. The police also alleged that the young man had joined dozens of other residents in a number of protests at the main gate of the Formosa company, using a Flycam device to shoot videos that were directly posted on social networks. To incite protests, he directly persuaded many locals to follow some extremists in Hà Tĩnh Province in organising activities that disturbed social order and undermined social security, the police alleged. Some Formosa property in the province was also destroyed during the protests. Hóa’s arrest followed a special investigation called V116 by the provincial police, focusing on “reactionary activities by extremists” who took advantage of the recent environmental disaster caused by the Formosa company to disturb social order. Hóa has confessed to all his wrongdoings, including the spreading of wrong, distorted information that smeared the Party and the Government, police said. The investigation found that in 2014, Hóa had set up several social network accounts to make friends and connect with many people. In April the same year he collected reports from different sources that contained reactionary information against the State of Việt Nam and spread them throughout the social media via network accounts. The police said that he also set up many gmail accounts to share photos, video clips, reports and articles on “hot” issues in Hà Tĩnh and others neighbouring provinces of Nghệ An and Quảng Bình. The reactionary information in many of his posts attracted the attention of some foreign organisations, some of whom were ready to pay him for what he was doing.